Community service is at the heart of the RCHK mission and, since the start of the school, staff, students and parents have worked with projects in Hong Kong and throughout the region. 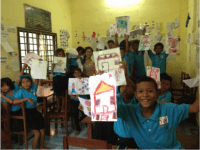 Money raised by the community is allocated to support a wide range of projects including Aceh, Bali, Chengdu, Darjeeling, Luang Prabang, Phnom Penh, Ratanakiri and Sabah. As an IB World school we subscribe to the IB’s mission statement and to their standards and practices and so we are obliged to engage in helping those less fortunate than ourselves. Service is also an integral part of Renaissance College’s mission statement and is summed up in the shortened version that says, “To seek, to strive, to serve”. In many ways, RCHK surpasses the expectations placed upon it by the IB and engages in many service projects with a commitment that is sustained and meaningful. Many of the projects that we support are other schools where students do not have many of the basic resources that we take for granted. In some cases it can be as basic as providing an education where none is provided. In regard to our service projects our students in both secondary and primary visit our service projects. During these visits the students help with basic maintenance through to providing lessons for the students. We are committed to raising HK$397,000 annually to support all our service projects. We would like to provide as much support as we can. We need your support! The donation was spent on purchasing a water tank and installing it. Working alongside their Bilit village homestay members, RCHK students worked to construct a water tower for a local family. Families in the Bilit village use rainwater collection tanks as a sustainable and principal way to bring running water into their homes. Starting with an empty piece of land, students dug holes, built support structures, mixed cement by hand, and completed the project with the rainwater collection tank on top of the tower. From swinging hammers to mixing cement by hand, students each experienced something new while strengthening their bond with community members. Terima Kasih (thank you) for your support! The donation was spent on teacher salaries, facilities and resources. Without Renaissance College’s donation the playgroup would cease to operate. Dina Astita lives in Calang, Aceh. She is a secondary school English teacher, is married and has an 8-year-old boy. On 26 December 2004 she lost her 3 other sons in the tsunami that devastated that area. She was determined to create something in their memory. She managed to set up links with Renaissance College and then opened Al- Ahmady Playgroup in 2009 with support from SP@RC. The playgroup now provides early years education for 22 students and employs 4 teachers. Our fourth Year 12 CAS Trip to Luang Prabang in November 2013 was a fabulous and worthwhile experience. Students visited schools and a Community Learning Centre during their stay. They were exposed to real life poverty and the happiest of children. Laos Proved a stark contrast to Hong Kong where students enjoyed being able to meet, teach and play with primary students in schools. It was very gratifying to deliver Book Bags to schools that previously had no books at all. Students were also able to deliver basic stationery items and were rewarded with happy smiles from the kids. Through RCHK’s Partnership with Community Learning International (CLI), SP@RC donated HKD$80,000 to support Community Learning Centres. CLI’s Learning Centres, provide opportunities for rural kids to encounter, explore and learn in areas they couldn’t otherwise. 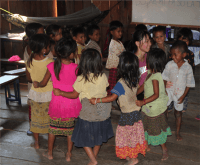 Through the Learning Centre’s, RCHK students can have direct impact and involvement with local Laos Children and provide activities and support. RCHK students loved Laos with its incredible scenery, rich culture and luscious cuisine. The smiles on the children’s faces and the friendships formed made the trip an opportunity of a lifetime. After our inaugural trip in June last year, it became apparent that the Laos experience, in conjunction with CLI (Community Learning International) could be a viable Year 6 camp option. We were delighted to be able to take along eight families (student/parent) to spend four days helping the local community in and around Luang Prabang. This included time in Nan working at a Community Learning Centre, onboard a library boat visiting outlying villages and liaising with the local librarian. While in these places we interacted with local students through games, songs, stories and play. In doing so we gained a better understanding of a community very different from our own and how we can continue to support them with their learning. Along with a generous donation from the RCHK SP@RC fund and money raised from a Primary Laos Flag Day we were able to support the local community by buying stationery, reading materials and toys to meet the needs of the communities we visited. Additionally we were able to provide CLI with a cash donation, which will be used to support the NGO (Non-governmental Organisation). Luang Prabang has a wonderful night market showcasing local talents and passion for art and crafts. We were able to purchase a range of products, which we aim to sell during the next Laos fund raising day. This money will be used to support the Laos community when we return. We value your continued support! The money raised has been used to build and maintain schools in this impoverished area of Cambodia. Renaissance College specifically supports the school in a village called Padol. This year our students visited the village school and provided lessons for the students, and experienced the life of the villagers in this rural area, which is far removed from their lives in Hong Kong. UWS is a charity that provides an education to some of the world’s poorest and most disadvantaged children. They aim to develop sustainable education in remote areas of Southeast Asia, most significantly in Cambodia. ISF is an international charity that provides education and sports opportunities for some of the poorest and most disadvantaged children in the world, as well as taking care of their wellbeing and basic needs. RCHK staff and students have enjoyed the opportunity of volunteering at ISF in Phnom Penh, during CAS Week and working with these children. ISF has 2 campuses that educate 225 students in Stung Meanchey, and are expanding and hoping to support over 700 students by 2016. The money was donated to the clinic at the farm. Renaissance College students this year travelled to Darjeeling and helped out at the farm and the clinic.The clinic survives on donations, and this is vital so that they can offer medical care to those who can’t afford it. There is no hospital in the area so they also provide free transport for those who can’t afford it to the nearest hospital, which is several hours away. The money donated goes to providing teacher training programmes and maintaining the facilities at the teacher-training centre. Without this funding many schools would be without teachers. The CTTP also provides basic accommodation for the trainee teachers. Wolong, in the province of Sichuan, is approximately 1,600km southwest of China’s national capital, Beijing. Wolong Nature Reserve has been protected since 1963 and is a UNESCO “Man & Biosphere” protected area. 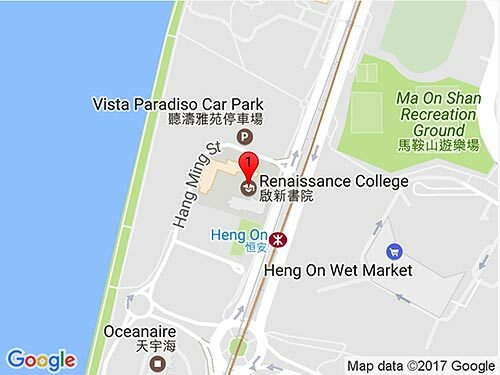 The RCHK Wolong Trip involves a range of activities. The service activities students have participated in before include: building construction project such as green house and bee box for local villagers, farming work, cooking service as well as photo taking project. Students also do some hiking in the national reserve area and participate in the local cultural activities. Our donation went towards an environmental conservation project and research on natural environment. In the future, we will cooperate with the local community and focus mainly on the community service for the local villagers in order to improve their livelihood. 2012 was the first time we offered the trip. Last year students visited the green house, which had been built by the former students. Students also donated the bee box they made for the villagers. We hope that the community service will be sustainable and each year students will go back and see the contributions of previous RCHK students. The Wolong Trip provides students with a fantastic opportunity not only to understand the cultural and natural environment, but also to assist a community in Mainland China. We hope the project will continue and benefit the local community in improving their lives. At the same time, students will understand more about the ethnic cultures and traditional values. Please make cheques payable to Renaissance College and write ‘SP@RC’ on the back of the cheque. Cash donations are accepted and should be handed into Ms. Wong in the 4th floor secondary office. Your donations will make a difference. Thank you.